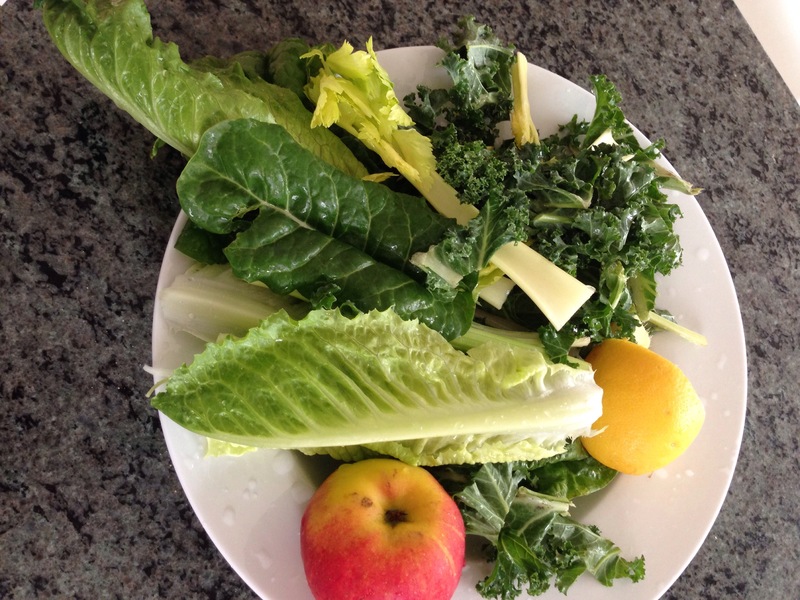 2 bags spinach/swiss chard/spring greens or whatever else dark green, leafy vegetables you can lay your hands on. 2-3 1L bottles of coconut water. In a smoothie you can also add all the extra bits such as soft fruit, ground flax seeds, chia seeds, spirulina and ground nuts. The list is endless and full of possibilities. You can keep it interesting by adding new flavours that may prove surprisingly tasty like beetroot, fennel, carrots, cabbage, green beans, even garlic. The thing to keep in mind is that in order to get a daily BIG JUICE you need a LOT of vegetables. These days I don’t have unnecessary things lying around in the fridge because there is NO SPACE!! It is filled to the brim with veg and coconut water. 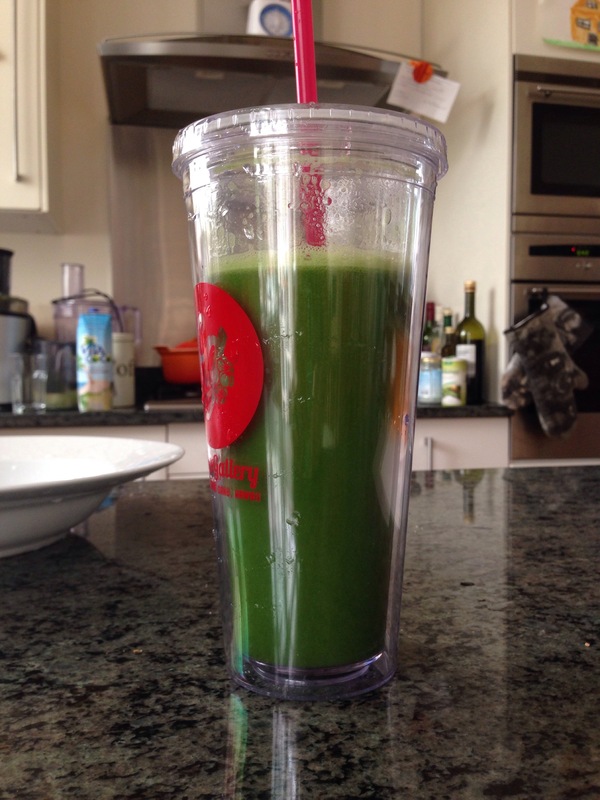 …and then there was a massive cup of delicious green juice!